Do you have a 40-foot crankshaft lying around that you don’t use anymore because it is in need of repair? Don’t we all? Well, the crew at Coastal Plating Company has your back. Repairing damaged giant crankshafts is what they do best. They’ve been on the scene for over 55 years, and have the equipment required to repair any size of crankshaft up to 40 feet in length! In the video below, they’re repairing a crankshaft with a 15” stroke from a Worthington BDC4, a compressor most often used in the oil industry. The 4-cylinder compressor generates 900 horsepower and is rotated by an electric motor. It weighs almost 15,000 pounds, and is 12 feet in length. Such a task requires some serious tools. 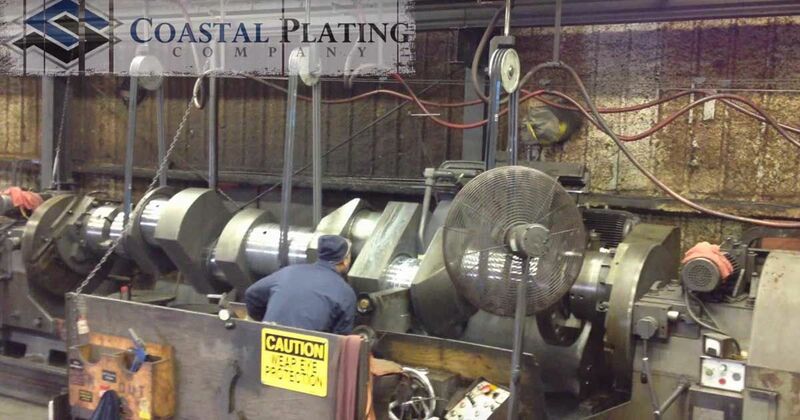 According to the company official website, Coastal Plating Company have the biggest grinder in the United States and Canada, and they can rebuild and restore all bearing surfaces as well as main journals with pure chrome. Plating the surfaces with chrome not only makes for a high quality restoration, it also helps the face resist wear, abrasion and corrosion. With a hardness of 66-70 on Rockwell’s “C” scale, chrome plated surfaces can stand up to the demands of use. Check out another repair being performed in the video below, this time on a Caterpillar "Cat 3612" Industrial Diesel Marine Engine, and SHARE if you like it.